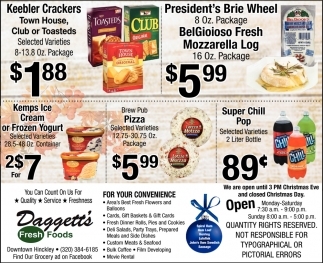 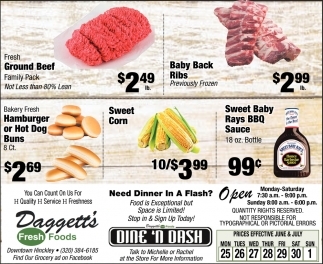 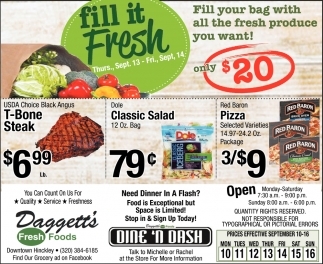 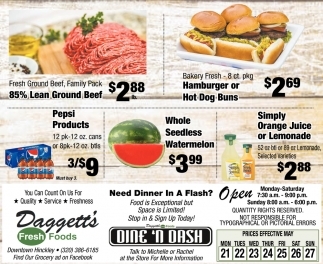 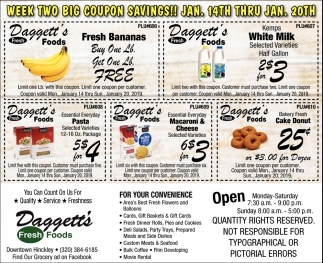 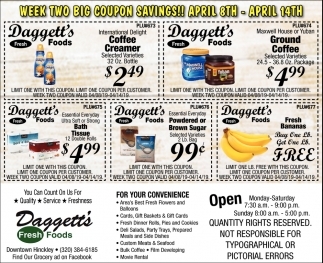 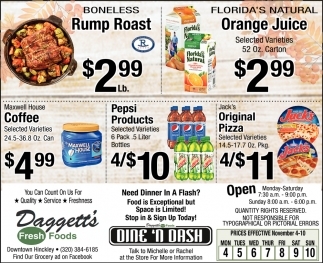 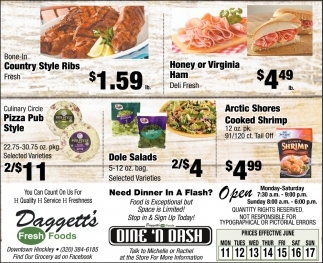 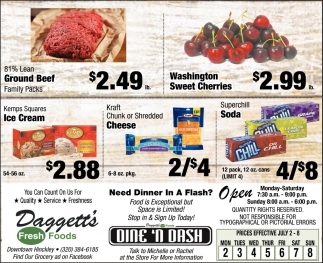 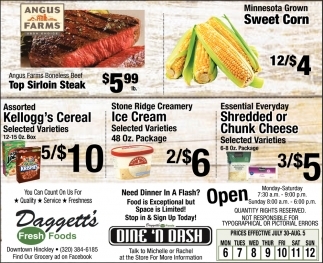 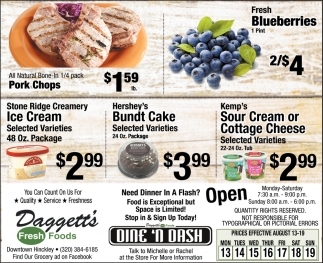 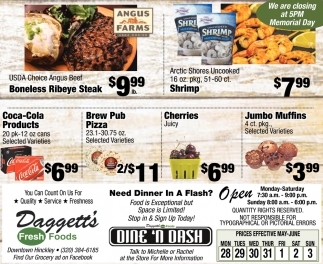 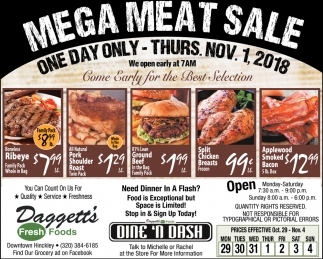 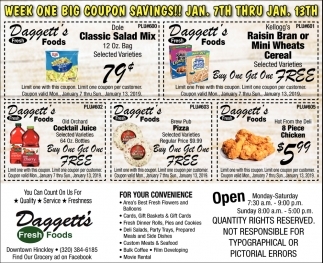 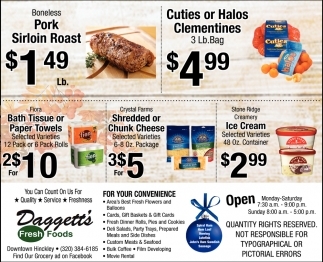 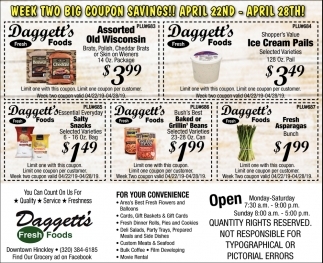 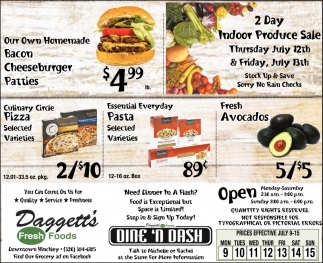 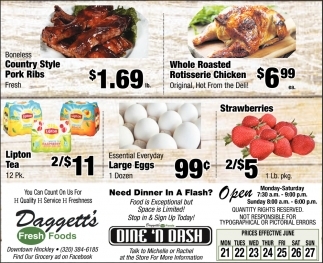 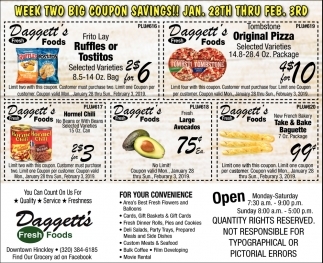 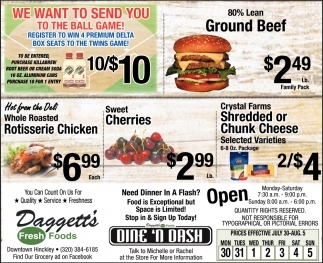 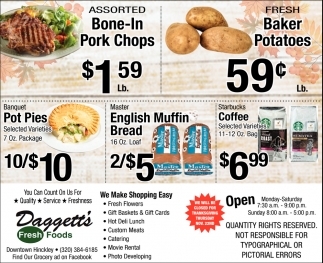 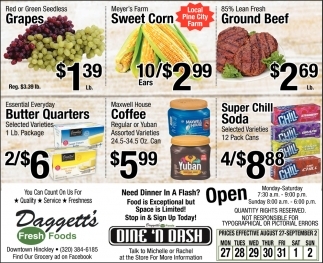 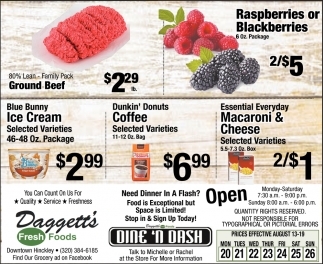 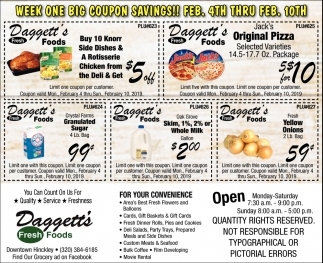 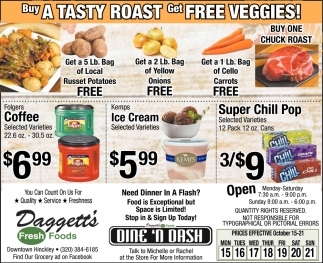 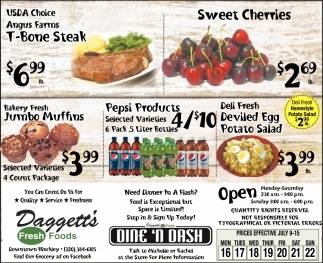 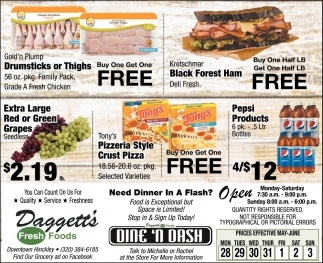 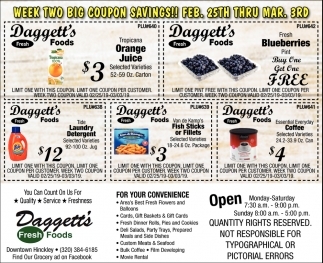 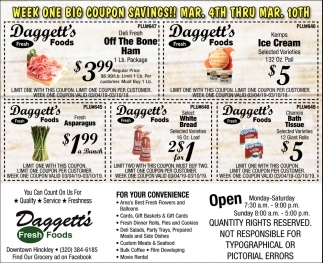 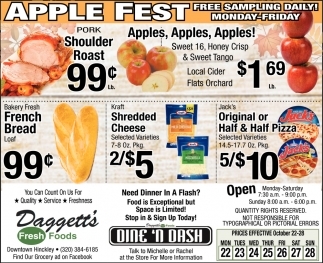 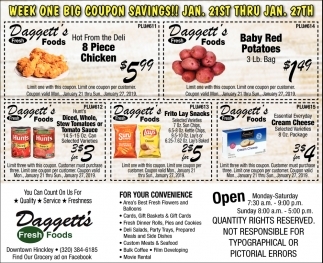 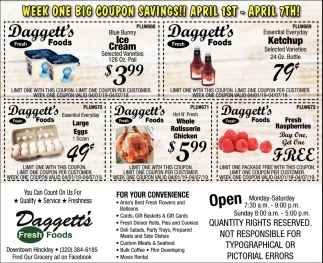 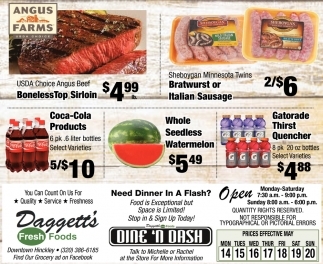 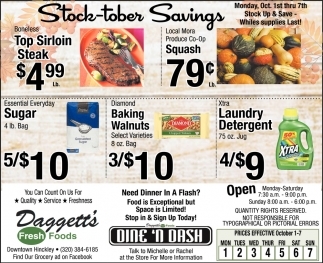 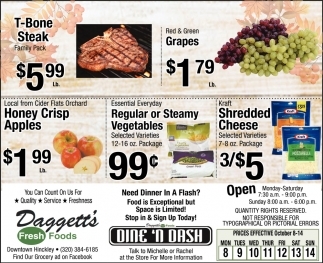 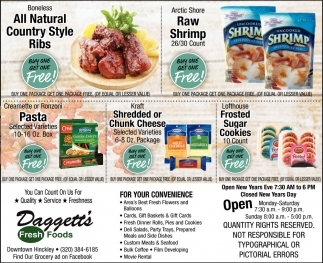 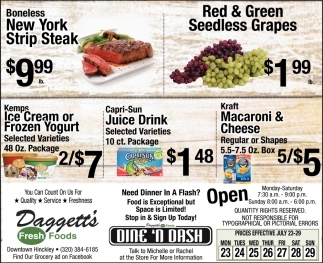 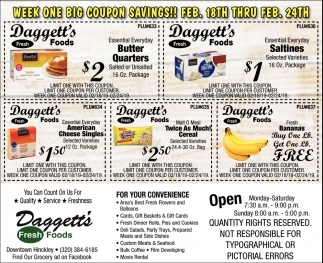 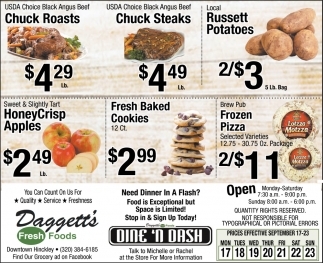 Week Two Big Coupon Savings! 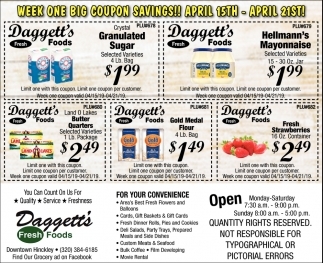 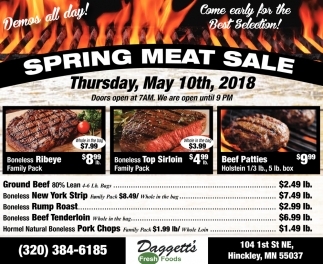 Week One Big Coupon Savings! 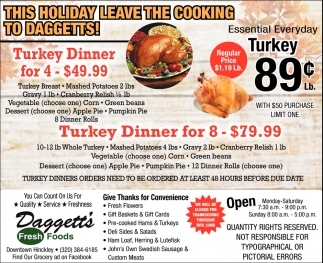 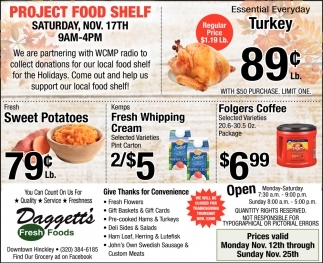 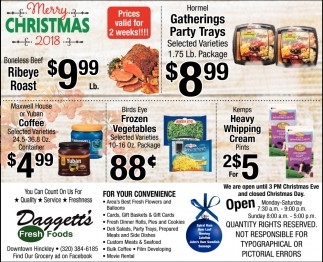 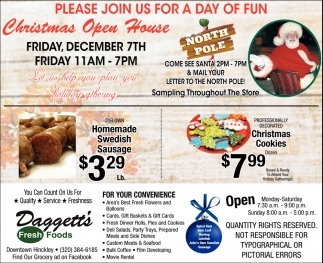 This Holidayu Leave the Cooking to Daggetts! 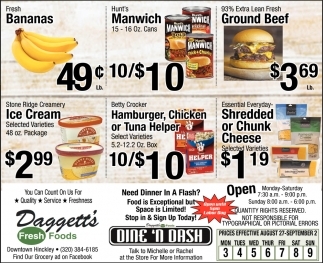 Need Dinner In a Flash?